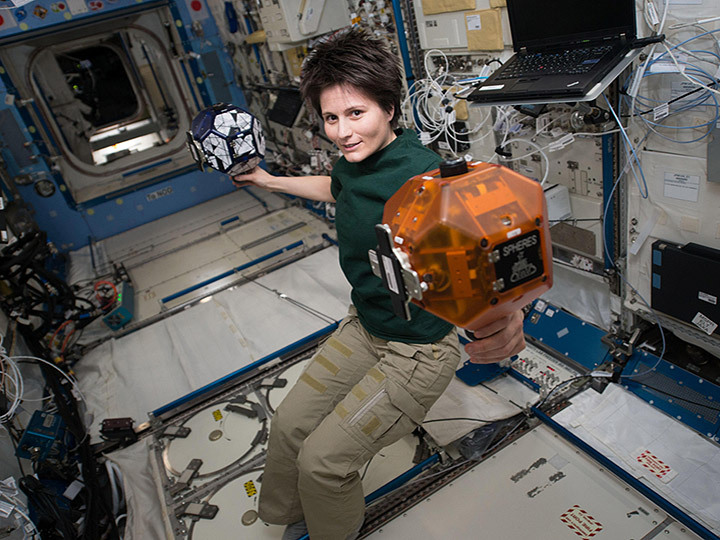 ESA astronaut Samantha Cristoforetti with SPHERES robots onboard the ISS. Zero Robotics, a unique education program focused on coding, is celebrating its 10th anniversary! Over the past 10 years, almost 20,000 students and more than 4,500 educators have participated in Zero Robotics. Developed by the Massachusetts Institute of Technology (MIT) in 2009, Zero Robotics is a competition in which middle school and high school students program small robots called SPHERES (Synchronized Position Hold Engage and Reorient Experimental Satellites) that operate inside the International Space Station (ISS). Students develop code to control the speed, direction, and rotation of the SPHERES to solve a specific challenge, and teams face off in virtual trials designed to test their algorithms. The middle school program uses a dynamic graphic interface to help the younger students learn to code. The teams that make it through the trials to the finals compete in a live tournament using real SPHERES onboard the ISS, with ISS crew members serving as referees. The annual high school finals tournament was held on Monday, and students gathered at various locations, including MIT, to watch the live stream of the tournament onboard the ISS. This year’s Zero Robotics high school challenge was focused on simulating the retrieval of a damaged satellite in low Earth orbit while avoiding a field of space debris. Part of the challenge involved maneuvering one SPHERES robot to hook and tow another SPHERES robot. For the finals tournament onboard the ISS, customized plastic hooks were attached to the SPHERES for the hook-and-tow challenge. 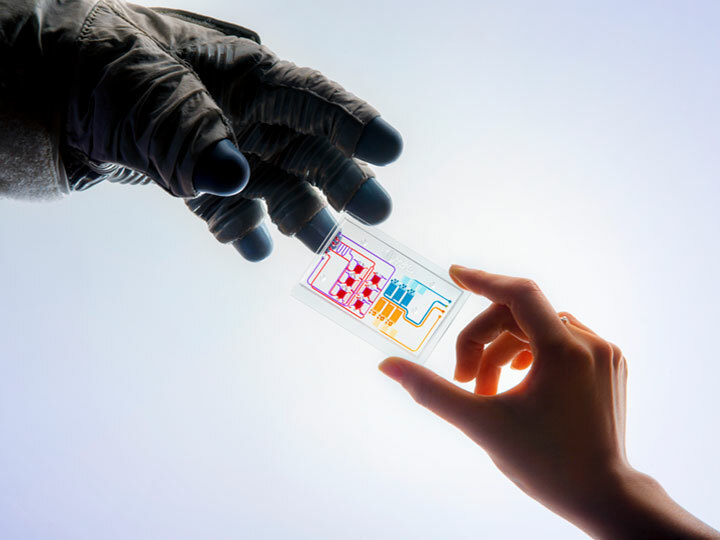 The hooks were designed at MIT and 3D-printed onboard the ISS National Lab using the Made In Space Additive Manufacturing Facility. 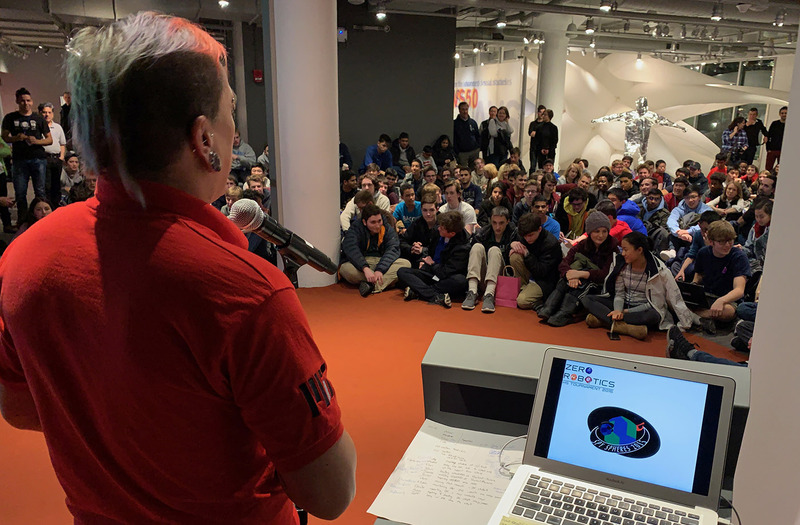 Read more about the 10th annual Zero Robotics High School Finals tournament in the Space Station Explorers post "In 10th Zero Robotics Finals, High School Students Compete at 'Hooking in Space'". Alvar Saenz Otero, director of Zero Robotics, welcomes this year’s high school student participants in a special celebration of their 10th anniversary. Zero Robotics is a Space Station Explorers program that has been supported by the ISS National Lab since 2012. The program inspires young minds to learn computer coding and cultivates a love of robotics while sparking an interest in space research and the ISS. Begun as a pilot program comprised of only two teams, this dynamic science, technology, engineering, and mathematics (STEM) education program has expanded to successfully drawn in thousands of students, and with good reason—the distinctive mix of robotics, computer coding, and an exciting competition makes Zero Robotics a program like no other. Here’s to another 10 years of captivating STEM thrills and excitement with Zero Robotics! Visit www.spacestationexplorers.org to learn more about the Space Station Explorers consortium, a growing community of ISS National Lab partner organizations working to leverage the unique platform of the ISS to provide valuable educational experiences. Zero Robotics High School 2017 Champions!